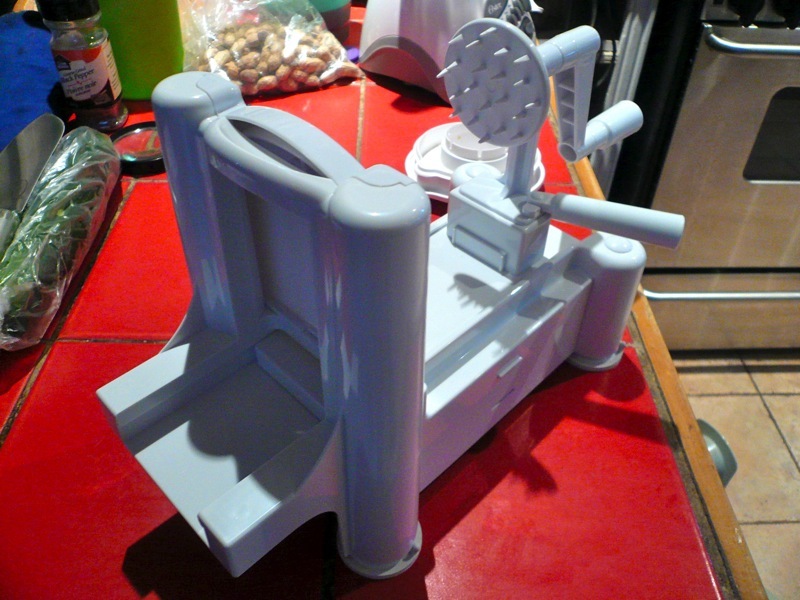 Today I have one of my new Christmas toys to share with you all—my Spiralizer! Or, more specifically, my Paderno “Turning Slicer”! I’ve been thinking about getting one for a while now, and after realizing how compact and affordable they are, I decided to put one on my Christmas list this year. And so here it is, all ready to go! Okay, so the addition of a side of focaccia bread totally ruined this meal’s raw credentials, but I’m a total sucker for bread. More importantly, this bread was a total steal. I got it at my favorite My Market Bakery as part of one of their day-old bread bags. Why am I buying a day-old bread bag, you ask? Because My Market Bakery knows how to cater to the graduate student population of Toronto and offers their day-old bread bags for just 1 (Canadian) dollar (that’s like 96 US cents!). And the bread bag I got included not only half of a big focaccia loaf, but also four bagels and half a boule. I really could not resist the thrift. 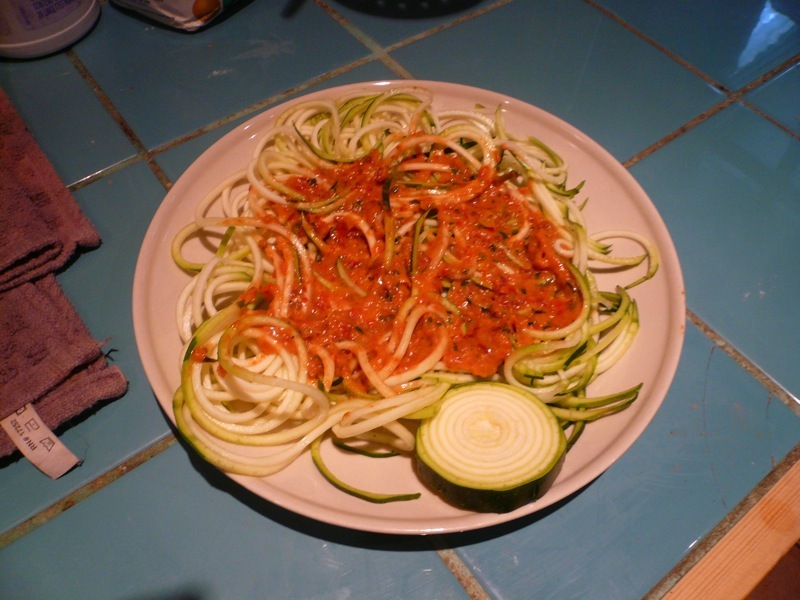 Anyway, that was my first spiralizer meal, and it was, as I hope the photos illustrate, excellent. However, I have to admit that I was a little confused as to what to do when I actually sat down to eat my meal. Why? 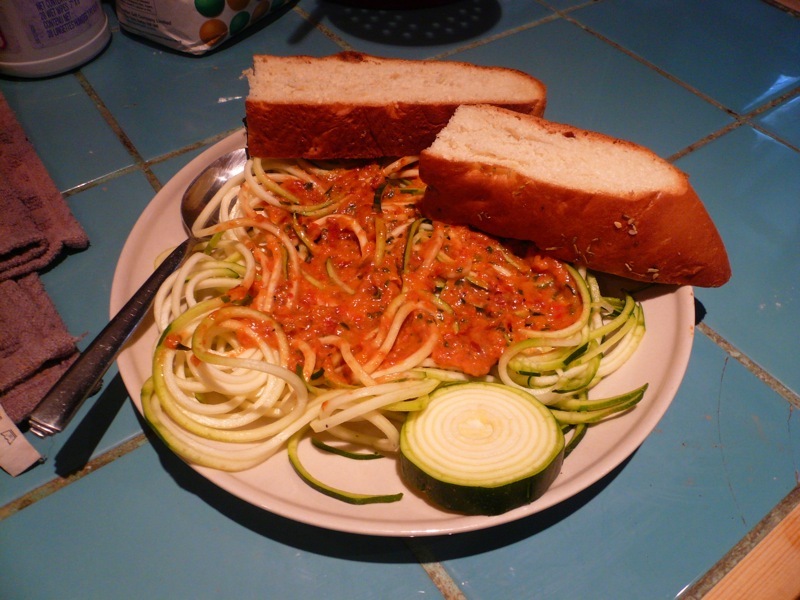 Because I had no clue what the best way to eat zucchini noodles was! At first, likening them to udon or perhaps lo mein, I went at them with chopsticks. I feel very much at home with chopsticks, but they did not work so well with these zucchini noodles—the noodles were just too knotted up with one another. I then switched over to a fork, but that led to a further conundrum—twirl or cut? In the end, I preferred the classic twirl method, but every few bites I would need to bring in my knife to cut up some stubborn strands. 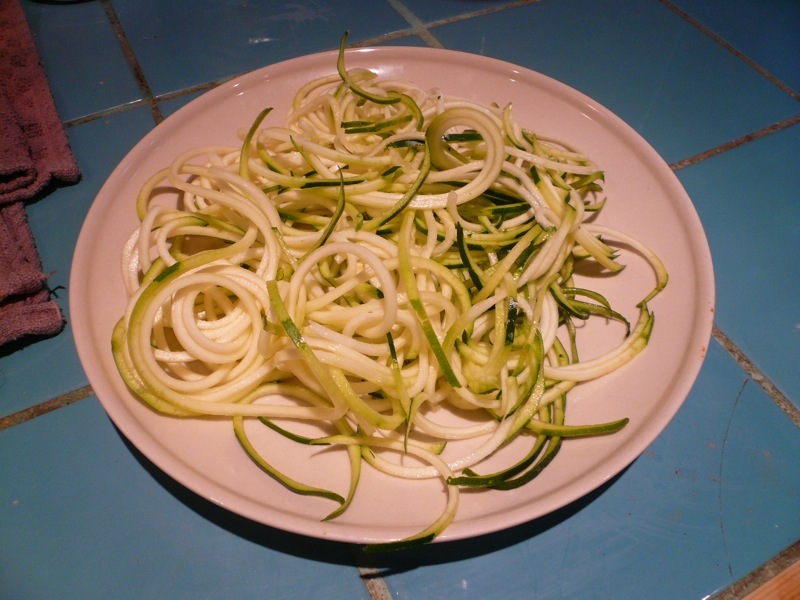 So now I come to you, loyal blog readers, with a request: What is your preferred way to eat spiralized noodles? Any responses will be much appreciated (and, most likely, heeded). WHOA. 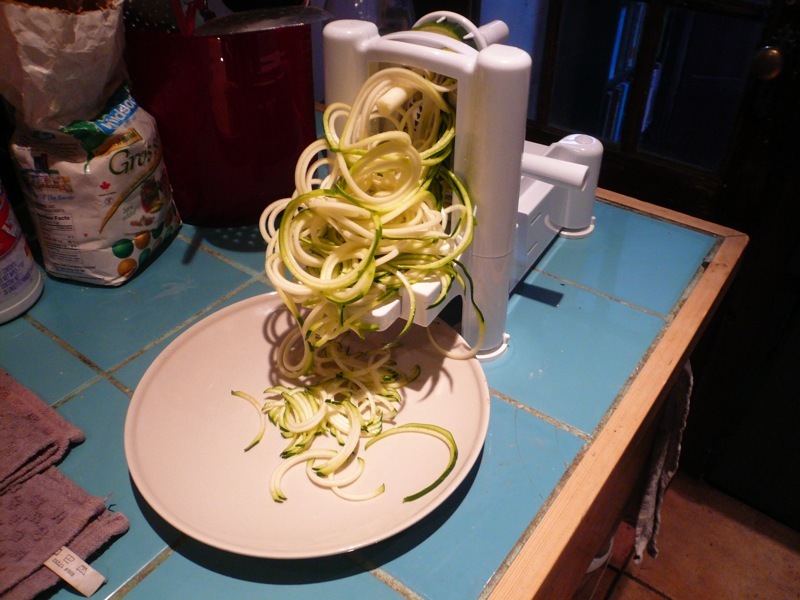 Spiralizer! All I can say is…whoa.